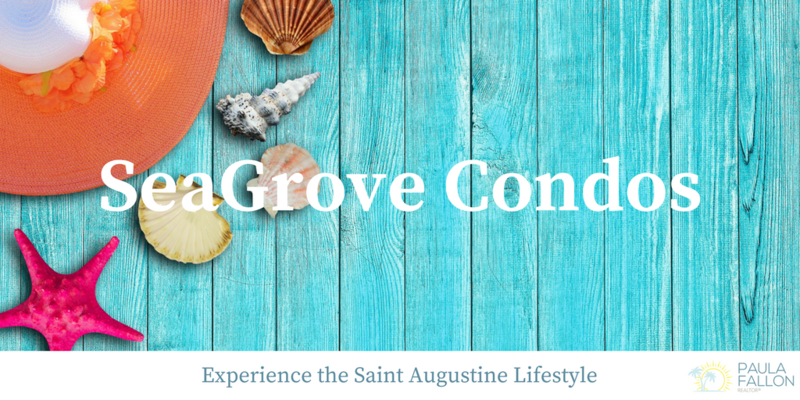 Sea Grove is a lovely Key West style neighborhood reminiscent of the traditional Florida carefree beach lifestyle. Resting on approximately 1,200 acres that include saltwater marshes and tidal creeks, you will find 283 single family homes with quaint front porches, 40 luxury condominiums with one car garages, and a few vacant lots waiting for their new homes to be built. The community also boasts a town center with 65,000 sq. ft. of retail space, a bank, a public library, a post office, Tim’s Wine Market, Aqua Terra Bistro, London Looks Hair Design, Happy Cakes Bakery, Smoothie Fresh, and other businesses including St. Augustine’s Berkshire Hathaway HomeServices Florida Network Realty.